As we move later and later into 2011, we arrive closer and closer to Motorola’s self-imposed timeline for bootloader unlocking. They have said on numerous occasions now that in “late 2011” they would start to unlock phones “where operator and channel partners will allow it.” I’d say it’s time for us all to revisit this situation again, especially with the DROID RAZR only days from being unveiled. Can you imagine a better time than now for Moto to decide to unlock their first bootloader? With the RAZR having to compete directly with the Galaxy Nexus…scratch that – can it compete with the G-Nex? We ran a poll just last week asking if readers were going to make Google’s new phone their next and the response was an emphatic, “YES.” Out of almost 10,000 votes, more than half said that they had planned to get it with another 3,000 leaning towards pulling the trigger. Less than 1% actually said no. And you know why the G-Nex is going to be huge? Because it’s unlocked, runs Ice Cream Sandwich and is on Verizon. The RAZR currently only matches one of those 3 selling points: the Verizon part. Now I would put money on the idea that if they chose to unlock this phone, that it would have a chance to be as big or bigger than any of their previous phones. I’m sure they will toss a huge marketing campaign behind it since they are bringing back the RAZR name, but the ever growing developer community – who helped bring them back from the dead by supporting the original DROID for years – is going to continue to have a hard time looking anywhere near it. You unlock that bootloader though, and you have a completely different situation on your hands. I see at times, people trying to discredit the amount of influence that developers of ROMs, themes and other root-only smartphone works have on things like sales numbers. Why though? Look at the original DROID, the EVO, the Incredible and now Thunderbolt. These were all nice phones to begin with, but they were made even more special by the support they received from a talented group of enthusiasts. If there is a way to create long-lasting buzz, you give the Android world a phone that is easily unlocked and we will flock to it. While there may be little way to track that kind of importance, I can tell you first hand that my inbox and our comments certainly tell quite the story. So Moto, here is the community asking that you give back. 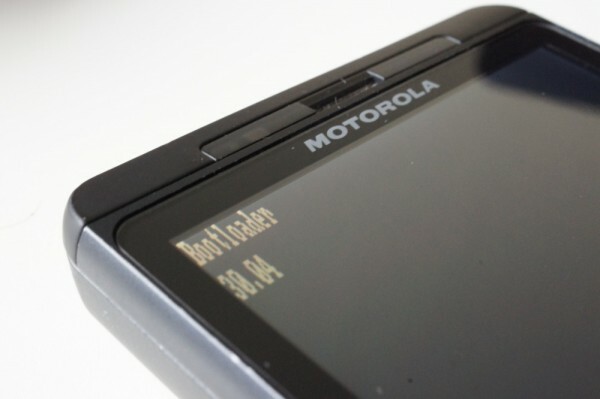 It’s time to revisit your bootloader policy starting with the DROID RAZR. DROID Pro Gingerbread Update is Ready, Rolling Out Now?